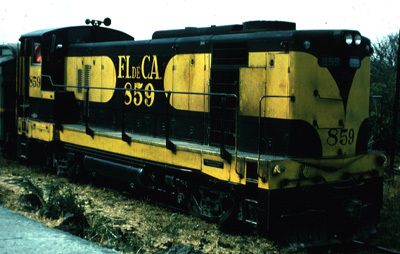 EMD GA8 B-B 850/800 hp gear ratio 630:1 built 1965 for IRCA and transferred to FC National de El Salvador. numbers are 851 to 866.
International Rys. of Central America 859 GA8 EMD B-B 850 hp. FC Nacional de El Salvador 862 GA8 EMD B-B 850 hp.